In case you don’t know, last week during Singapore National Day Parade 2018, Samsung was launched its biggest phone ever: Samsung Galaxy Note 9. Check here for the Samsung Unpacked event, unpacking Galaxy Note 9. Samsung Galaxy Note 9 Promotion: FREE Upgrade from 128GB to 512GB! 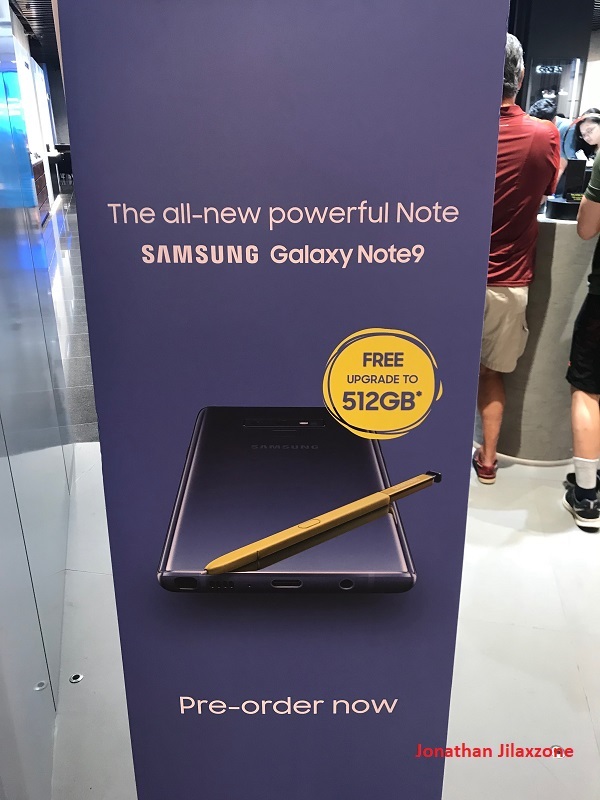 Not sure if you get the same promotion at your local store, but here in Singapore island-wide, Samsung is promoting FREE upgrades to 512GB when you buy the brand new Samsung Galaxy Note 9 128GB. Tempting offer isn’t it? Samsung Galaxy Note 9 Pre-order Promotion: FREE upgrade to 512GB! As numerous websites suggested, Samsung sales of Galaxy Note S9 since its being introduced was disappointing, so as part of bumping up the sales number, plus to attract as many customers as possible before rivals (Eg: Apple) come out with their latest and greatest, Samsung came out with this hard-to-resist promotion: FREE upgrade to 512GB. Samsung Galaxy Note 9 $330 off! 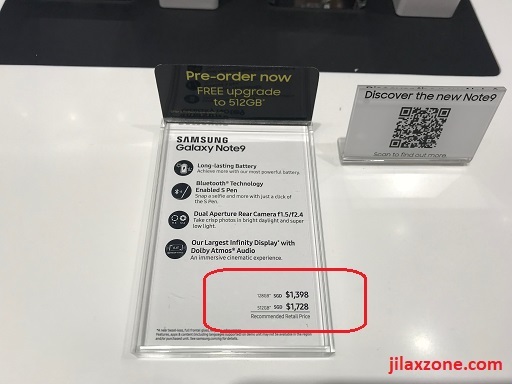 In Singapore, the base model of Samsung Galaxy Note 9 is 128GB and priced for $1398 off-contract. While the 512GB model costs $1728. That’s a $330 savings! On top of it, any pre-order will get additional FREE $50 accessories voucher. FYI. All dollars is in SGD. Are you interested? Have you pre-order? Pre-order period starts from Friday 10th August 2018 till Tuesday 21st August 2018. If you are looking to upgrade your phone to Note 9, be sure not to miss this promotion. These are the Samsung Galaxy Note 9 Important Specs. ← Fortnite Beta is Now LIVE for Android – Here’s how you can play it. 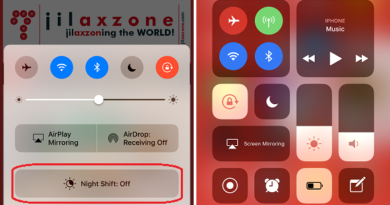 Official Download Link Inside!